We’ll work with you to help determine your exact moving needs. 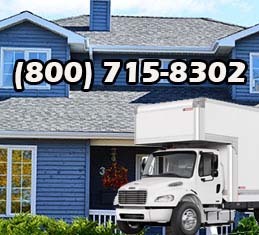 Top Line Moving employs experienced movers who can promptly relocate all your belongings within one city or county. They know exactly how to move your belongings from one point to another without delays, accidents and difficulties. The size of the job makes no difference, the distance makes no difference all customers are treated equally. Whether you are moving within the DMV area, or even a few states away, Top Line Moving can accommodate your needs. Every move is unique. We offer a personalized service and our crews are solely dedicated to completing your move and ensuring the highest level of customer satisfaction. Use of wardrobe cartons, mattress bags, custom TV and picture crates, and more! There are many moving companies, here are some reasons why to go with top line moving company for your local move. Top Line Moving is family owned, we treat our clients as if they were family members. We care about your belongings, family, pets and everything you hold close to your heart. Over 10 years in the business with BBB rating of A, should we say more? We know the in’s and out’s of moving. Have a challenging last minute move? We love a good challenge! Your estimate is always FREE, over the phone, via email, its up to you but its always FREE!